Check out Tobi's White Sand Suede Moto Jacket Let Blank NYC's See You Later Suede Grey Moto Jacket ring in the cooler season. This suede zip up jacket features a structured lapel, zipper detailing on the sides and arms, and a buckle belt to finish things off. Watch the leaves change in this stylish moto jacket, and pair with skinny jeans and boots! 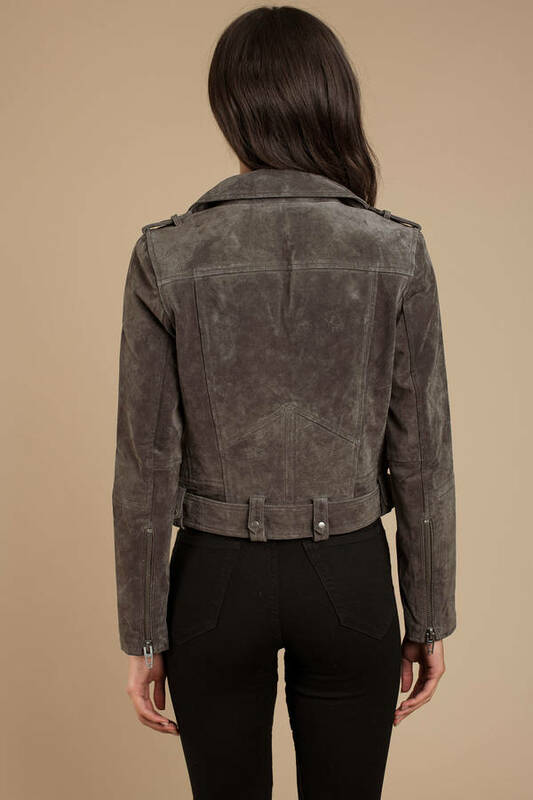 Let Blank NYC's See You Later Suede Grey Moto Jacket ring in the cooler season. This suede zip up jacket features a structured lapel, zipper detailing on the sides and arms, and a buckle belt to finish things off. Watch the leaves change in this stylish moto jacket, and pair with skinny jeans and boots! 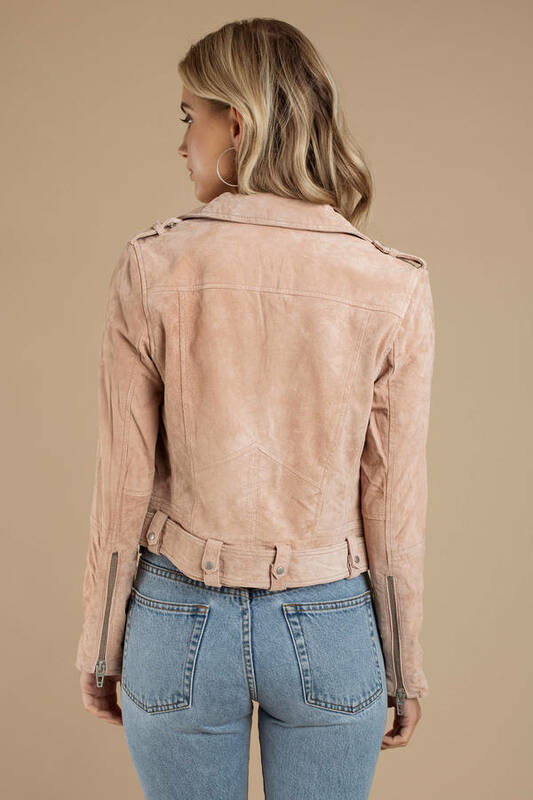 Let Blank NYC's See You Later Suede Blush Moto Jacket ring in the cooler season. This suede zip up jacket features a structured lapel, zipper detailing on the sides and arms, and a buckle belt to finish things off. Watch the leaves change in this stylish moto jacket, and pair with skinny jeans and boots!